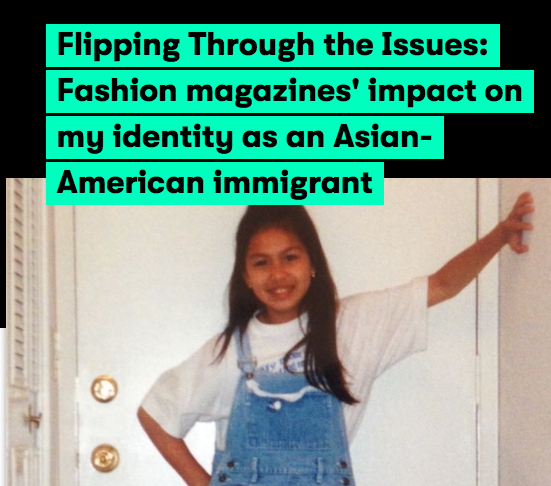 I write fashion stories with a social impact angle (diversity, inclusion, politics, ethical production, etc. ), as well as stories about diverse women catalysts who are leading positive change. I also write poems, essays, and prose that reflect my experience as a woman growing to love and accept herself, with hope that my words can inspire another woman to believe in herself more. Read the rest of my stories on NBC News here. Read the rest of my stories on Mic here. View the rest of my portfolio here.